The Tiger T4840 is a compact camera with a 16-megapixel ON Semiconductor KAI-16070 CCD image sensor. 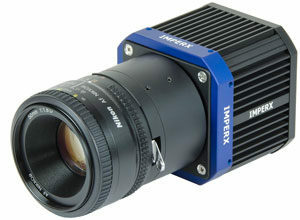 The camera provides 4864 x 3232 resolution, frame rates up to 7.9 fps, and 7.4μm pixel size. The camera offers programmable image resolution, frame rates, gain, offset, external triggering, strobe output, transfer function correction, temperature monitoring, and user programmable and loadable LUT. The camera is fully field upgradable and available in both Ruggedized and Industrial versions. Also available with optional active force air cooling.